Follow in the Footsteps of Noted Entrepreneur and Award-Winning Humanitarian, Sandra P. Wilks. 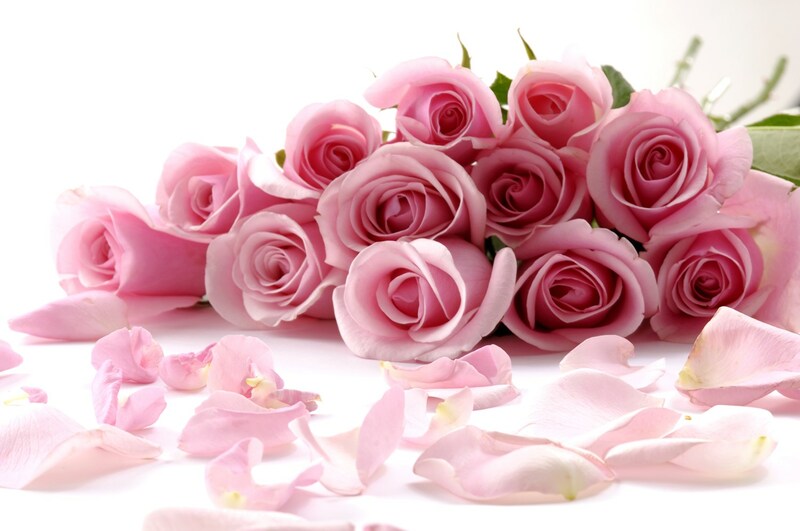 (Please read article below the lovely Roses) Introducing the Movement: "Give Them Their Flowers Now"
By Samuel B. Lackey, Jr. Traditionally, many of us show love and appreciation with ceremonies embellished with flowers, often relating to holidays and special events. Just think of how nice it can it be, if as living and loving people, we would actively engage ourselves daily in giving and receiving our flowers while we are able to see, touch, and smell them. When I refer to flowers, I am not only referring to the beautiful botanical wonders of the earth. I am also referring to the wonderful loving acts of kindness and appreciation that we have the ability to daily bestow upon each other. Anyone and everyone can participate in this initiative. I believe "Give Them Their Flowers Now" can bring a positive transformation to our planet, as each of us, in our own way, empower this movement. Are you asking yourself: what do I do or how can I play a supportive role? I would suggest that you simply do something nice for another person. Give them a flower, a smile, a meal, make them the recipients of kindness, and/or show your appreciation. Use your creative power and invent your own ways to "Give Them Their Flowers Now." EXAMPLE. I hosted a small event at home. My guests were greeted and seated, upon arrival. We viewed and discussed a video that I had prepared based on past experiences as a musician and veteran entertainer. I shared a song or two with my guests. I served them a meal, and later presented each with a flower symbolizing my intentions to "Give Them Their Flowers Now." As each person departed, I thanked him or her for attending. You may choose to do the same thing, do something more elaborate, or perhaps do something more modest. It is completely up to you. YOU ARE POWERFUL. Please apply your personal powers to encourage and persuade others to engage in similar "Give Them Their Flowers Now" actions, as those you model. Thus, teaching others duplicates your efforts, and by duplicating your efforts, YOU GROW THIS MOVEMENT EXPONENTIALLY. If you are a social media user please send a link to this website to all your Facebook and other social media friends. This could produce MEGA GROWTH RESULTS. Encourage others to visit this website by simply entering Fn.4pha.com in their devices and/or computer browsers. Instruct them to leave their contact information in the form fields provided below. Please be sure to click on submit button at bottom of form so that your information will be received. Donations will not be solicited, collected or accepted by this website. Whatever you give to and receive from others will culminate from your own individual and collective actions and resources. Information about the measured growth of the movement, ideas, events and resources (based on data and feedback received here) will be published here.